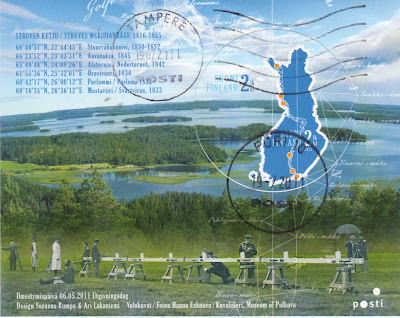 eD@HoMe: Struve Geodetic Arc Cover from Finland! 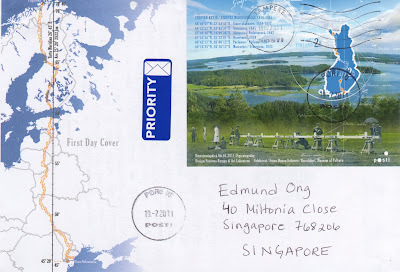 Many thanks to Johanna Palonen for this awesome FDC posted from Pori, Finland! 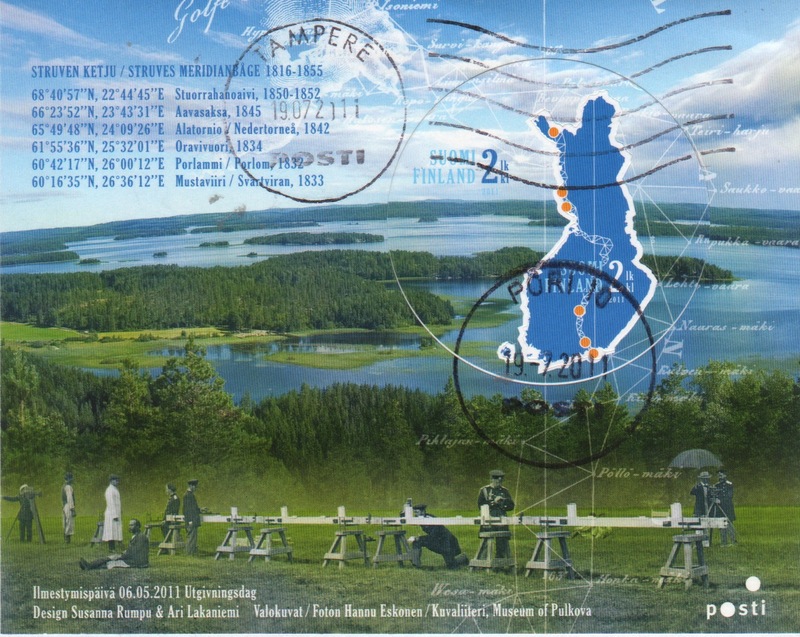 On 6th May 2011, Finnish Post issued a very unique miniature sheet in honor of Struve Geodetic Arc. The Struve Geodetic Arc was used for determining the size and shape of the globe. The arc, which approximately 2,820 km long, extends from the Black Sea in Ukraine all the way to the Arctic Ocean in Norway. The arc was named after F.G.W.Struve who managed the measurement in 1816-1855. The arc measurement stations are located in ten countries. The 34 most representative measurement points were included in the UNESCO World Heritage List as a joint site of ten countries in 2005. The miniature sheet indicates the six points located in Finland. The two stamps in the release are within each other in the miniature sheet. The outer stamp is round, and the inner has the shape of the map of Finland. 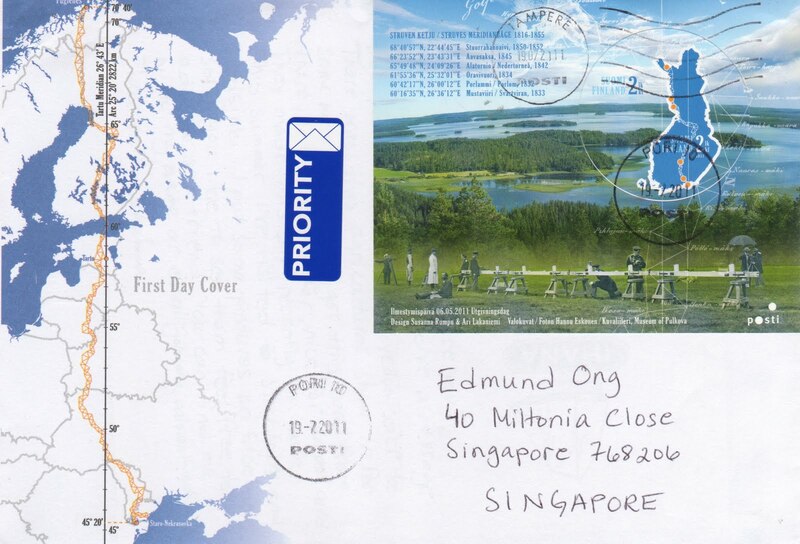 This cover was postmarked on 19th July 2011 in Pori, Finland and took 7 days to reach me.